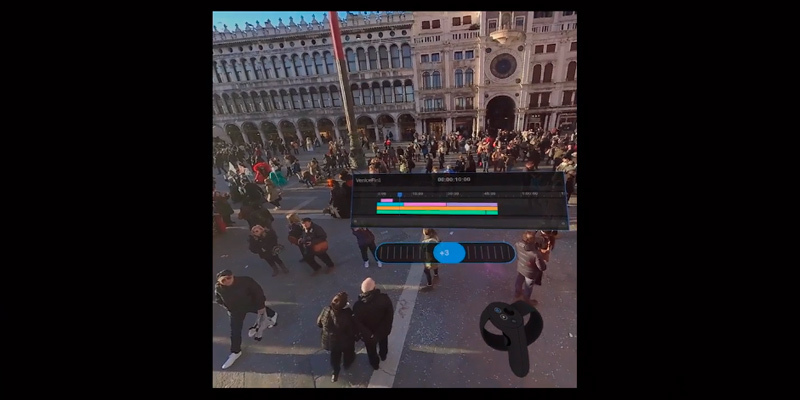 The first video editing software for PC to support innovative features like 360-degree VR video, the PowerDirector 16 is still not too difficult to master and offers a nice rendering speed. CyberLink's PowerDirector is an easy-to-use video editing software for Windows that nevertheless offers a number of enhancing options to create almost professional-looking movies. The program includes a number of sounds, music, backgrounds, and sample videos as well as an extensive collection of filters to beautify your clips. The company's marketing strategy inside the program can be a bother. 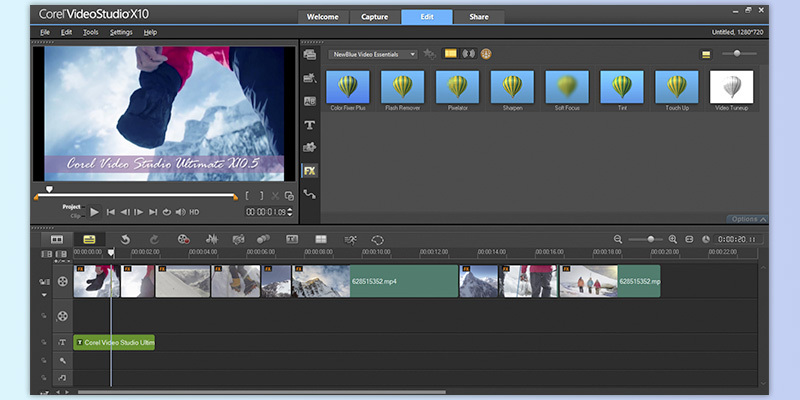 Movavi is the basic video editing software for the fastest yet quality results. Your videos will look cute and polished after just a bit of work. The new Premiere Pro CC offers Shared multi-editor project functionality with the option of locking project while you work on it. The VR and 360° editing are enhanced. Some advanced features are only available in companion programs. 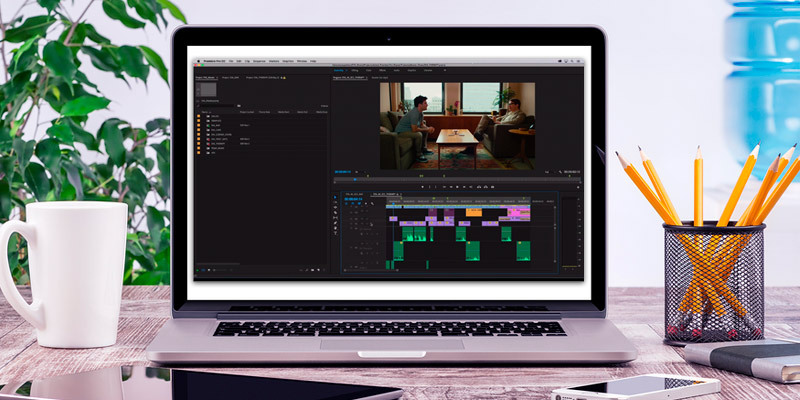 Being a professional video editing software, Premiere Pro has the widest set of tools for all-around editing tools and an extensive list of production-level export formats for news presenting programs and the like. 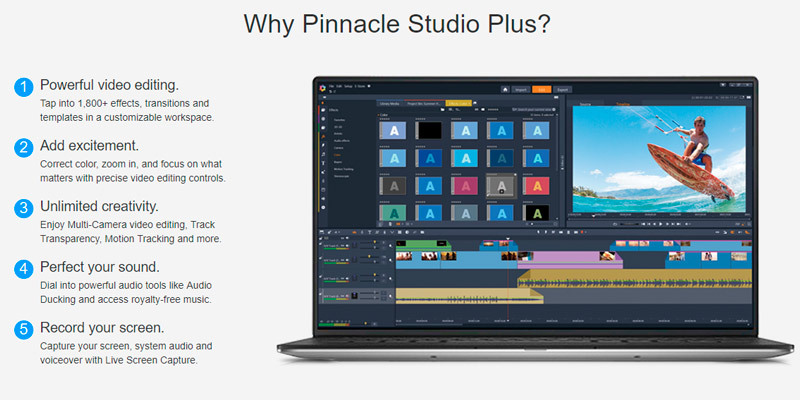 Pinnacle Studio 21 is the fastest video editing software when it comes to rendering your movies. 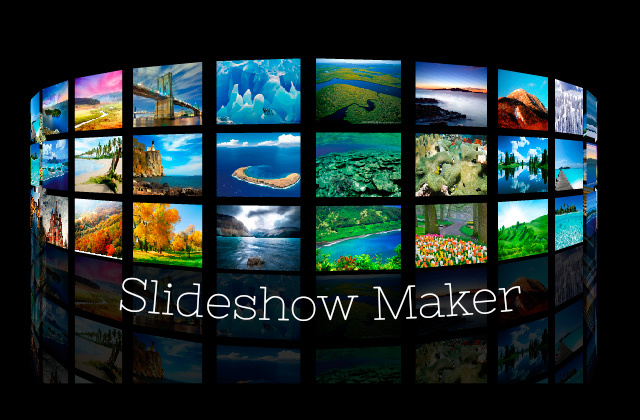 It also includes 1,800+ video effects, transitions, and templates. Some users claim it tends to crush from time to time. 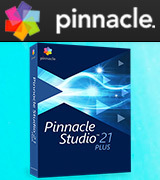 The Pinnacle Studio 21 Plus is a golden mean between the basic and the Ultimate versions of this software, it is a good choice for both novice users and experienced ones. Corel New VideoStudio 2019 Family: Live Life. Make Movies. 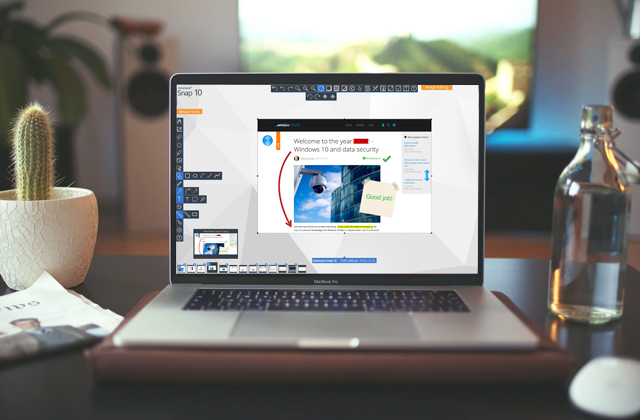 The included FastFlick program and the Instant Project mode will help you quickly create fancy slideshows and videos without really doing anything yourself—just use templates. Corel's VideoStudio Ultimate is easily the most feature- and effect-packed video editing software for Windows in the lower price segment, even some professional-level tasks can be completed there. If anything comes close to the consumer-level Adobe video editing software today, that would most probably be the CyberLink's PowerDirector. 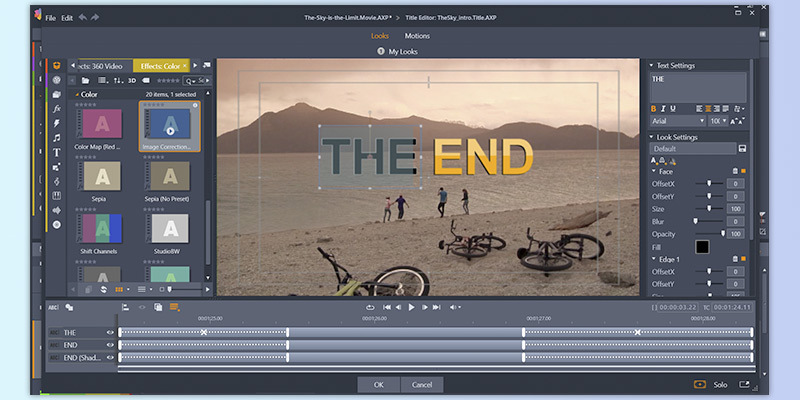 There are some aspects where Adobe wins hands down and then there are those where CyberLink leads the innovation, but all in all, those two creators are what some might call equal rivals in the industry of non-professional video editing software. 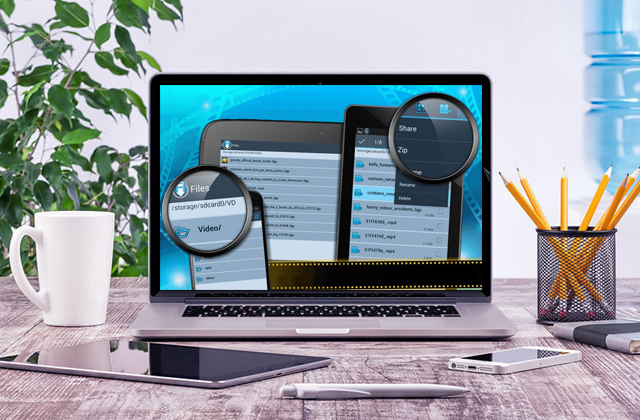 CyberLink is widely known for their close monitoring of any new trends in video recording possibilities, thanks to which usually, they are the first to implement features to edit those new videos. It was CyberLink who pioneered in executing the 360° video editing options, for example. They are not the only ones to have this feature right now but they certainly were the first and the PowerDirector 16 is still probably the best video editing software for Windows when it comes to this type of video. For comparison, the latest Adobe Elements still lacks this feature. 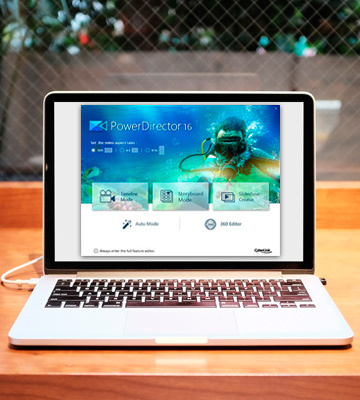 The PowerDirector 16 interface is simple enough for even a complete beginner to master in almost no time at all. All the functions are set on a convenient panel with pictograms and floating descriptions. The app has three main modes you'll see upon launching: the full timeline mode, the storyboard mode, and the slideshow creator. The latter name says for itself, and as for the former two—the storyboard mode is a somewhat simplified compared to the timeline one (which is, again, not difficult at all itself) but it does offer most of the same features. The interesting one, though, would be the Auto mode you'll see under the main modes. It is a peculiar thing we've found quite entertaining and useful for fast hassle-free video clips creation. 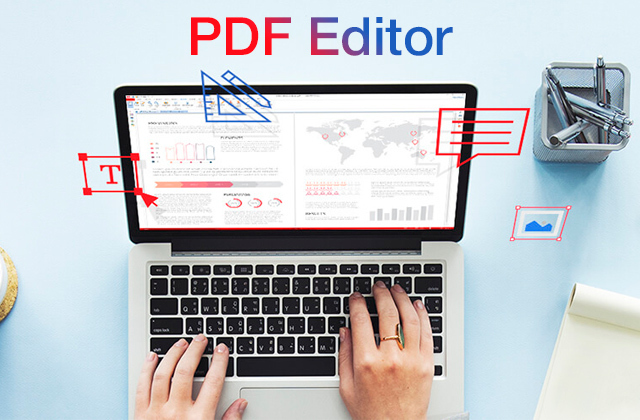 In this mode, you can simply drop your source video clips, add music (if needed), adjust the correlation between the two with a slider—more video sound or more music or something in between—and the time for the target clip, then select the template from the PowerDirector library. The software will analyze the video, find the best parts of it, and create a clip from them, adding the transitions and effects from the template. Granted, the video might look somewhat generic, but this is called an auto mode for a reason. It is a good way to quickly make a video for some occasion like a birthday party, for example. CyberLink has a very large library of effects, transitions, styles and everything else an amateur video editor might find useful. 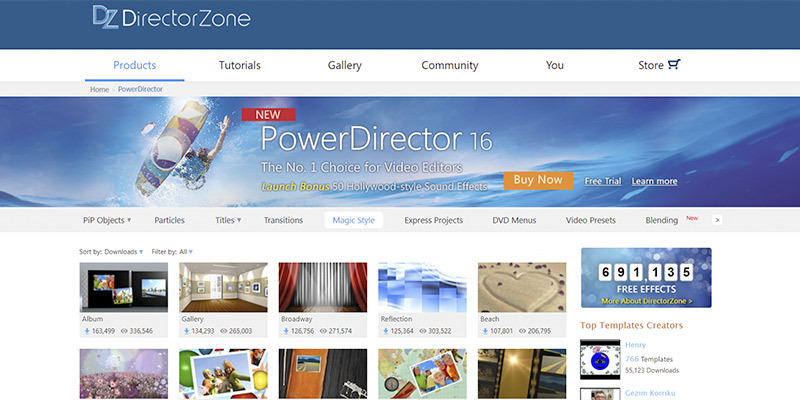 To not make their video editing software for Windows too "heavy" for the computers, all those additions are stored in a special part of the CyberLink website called the DirectorZone. 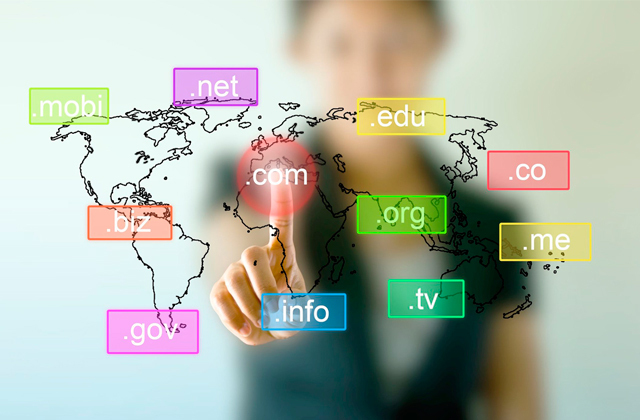 Upon registration, you can download specific ones you like or need. The selection is truly remarkable: thousands of Picture-in-Picture (PiP) templates, particles, titles and title sets, transitions, styles, DVD menus, presets, sounds, even complete express projects. 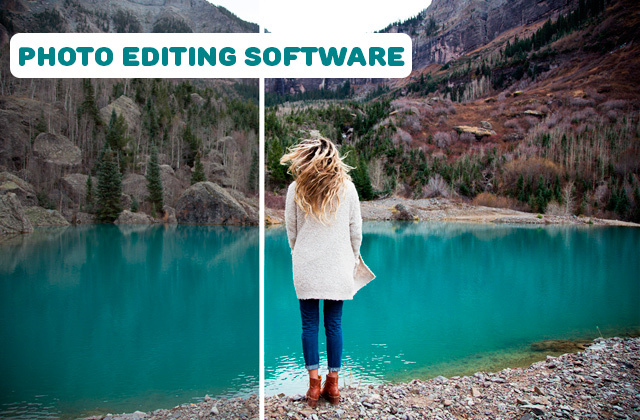 The latest addition is the Blending Effects, called overlays in some other video editing software—a way to make your movies cuter with just a couple clicks. 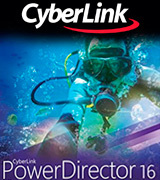 PowerDirector 16 by CyberLink is a powerful tool that includes nearly everything to create stunning videos with next to no efforts. And if you decide to purchase one of the two offered suite options, there are additional programs like AudioDirector, ColorDirector, and many more effects from famous creators like BorisFX included. 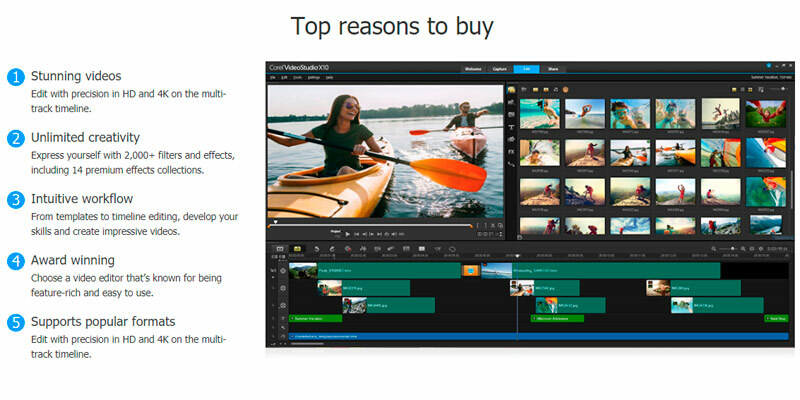 Movavi present their video editing software for Windows as the option to replace Windows Movie Maker, a video editor that was included into the Windows operating system up to its 10 edition but is no more. 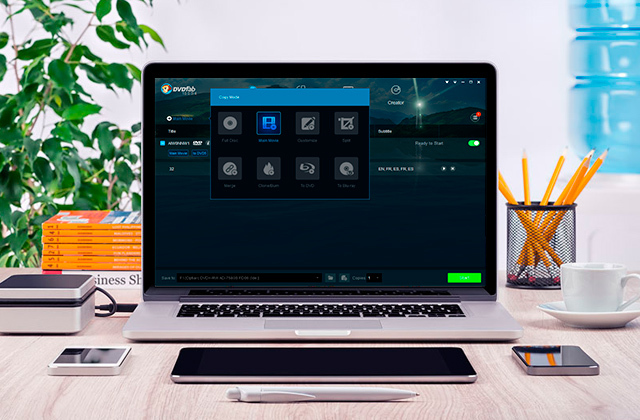 Well, you can still download it and install separately but if you ask us, compared to the Movie Maker, the Movavi is a somewhat enhanced option with a bit more to offer the beginner creator. 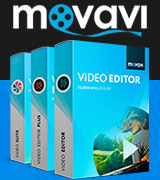 We can say that the Movavi video editor software is pretty basic, it does not offer you multiple tracks or many advanced features like, say, Premiere Elements, an Adobe video editing software for amateurs. However, if you're looking for something cheap and simple for your first steps or something to simply tweak your videos without deep extensive editing, it will do. 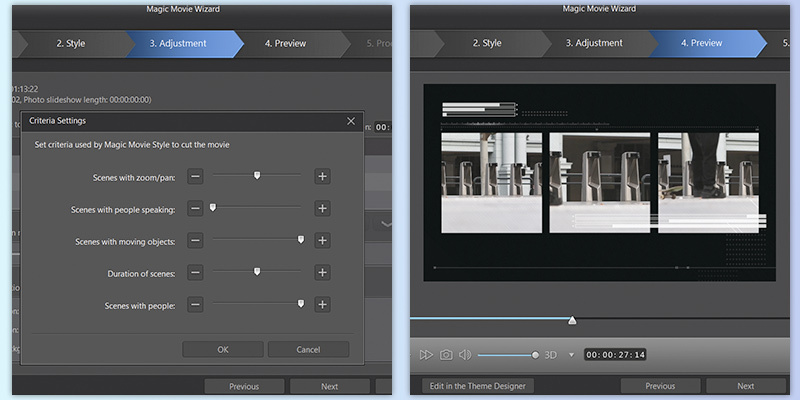 One of the best things provided to you by the Movavi video editor is probably its highly detailed step-by-step guide. It is located online on the Movavi official website but can be called up from the program menu (Help > User Manual). 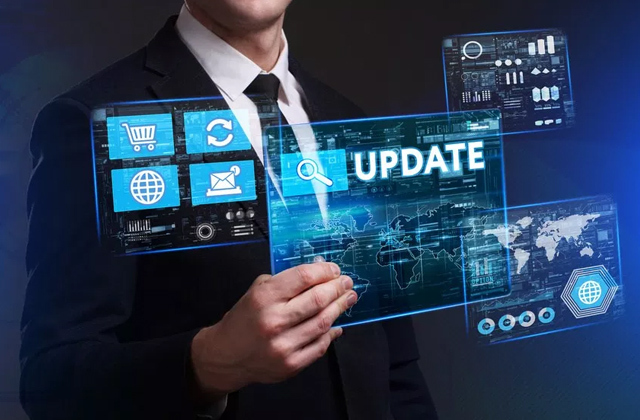 The manual covers virtually everything the software can do yet if you can't find an answer to a specific question or issue there, you can also write an email to the tech support or you can use a live chat. The company also has Facebook, Instagram, and YouTube accounts where you can follow them to be first to know about everything new the company implements and to check out tutorials. The help is provided from several sources and is encompassing, which makes Movavi a prime choice for complete beginners. 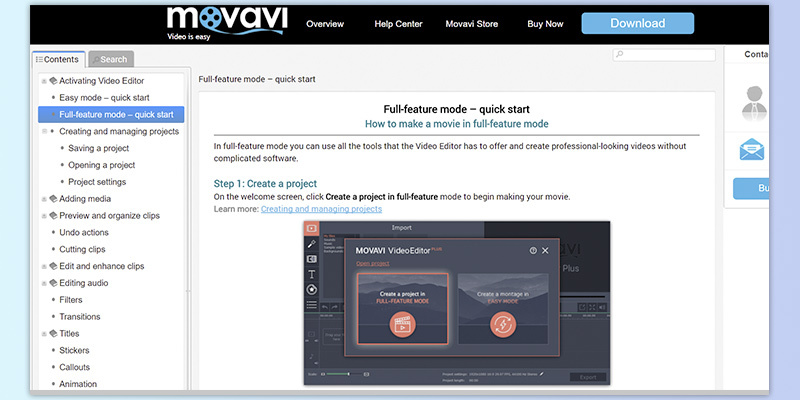 Another convenience of the Movavi video editor would be the fact that its interface is offered in as many as 14 languages including even Brazilian Portuguese, for example. What did surprise us a little is that the Movavi Plus video editing software offers quite an extensive library of visual effects for as an affordable software as it is. There are over 160 filters, over a hundred transitions, almost 50 text styles to create titles of nearly any kind you can imagine. You will also find here more than 80 stickers and 40 or so callouts to adorn and liven up your movies with emojis, comics effects, and thematic elements. Keyframe animation, Chroma Key feature, and even the option to either highlight or, to the contrary, conceal certain elements. The latter will be useful if the people on the video do not want to be recognized for some reason. Movavi is indeed basic and has its limits, however, it is most certainly not a bad or weak video editing software. Besides the aforementioned features, Movavi also offers a large selection of export formats and an option to log into your YouTube account for instant uploading. This software will be most useful for video bloggers who make all kinds of content and have something to say, be it skincare advice, celebrity news and gossip, or a book club of sorts. Vlogging today is so varied that every topic, however weird it is, will find its audience. In fact, the weirder the better sometimes. So, basically, if you have a topic you can and want to talk about, a decent camera, and a Movavi video editor, you can become popular in no time. 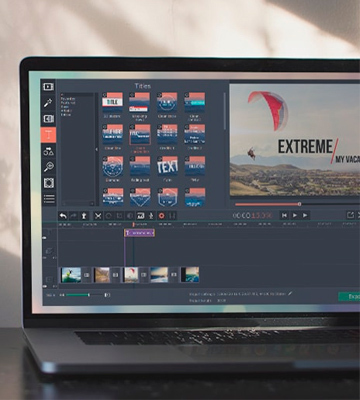 Adobe's Premiere Pro is a professional video editing software (hence the "Pro" bit in the name), and it feels like one, from its vast range of features and effects for movie creation to the long list of export formats used by broadcasting and producing companies from nearly every corner of the world. 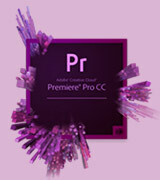 Adobe Premiere Pro CC has a convenient and highly flexible interface, with all the necessary elements like project and source previews, assets, and timeline present by default and the option to add or remove them whenever you wish; you can also drag and relocate all the windows if you find the traditional placement to be not to your taste for some reason. In 2017, the designers had removed the majority of control buttons from the default screen as most professional editors have long since started using keyboard shortcuts; the interface became less cluttered. 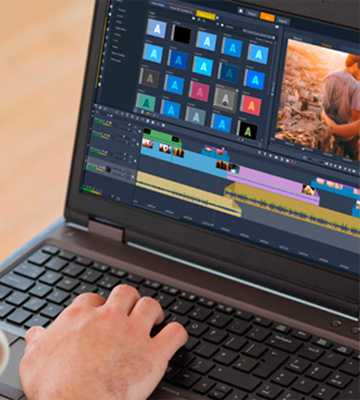 If your editing laptop has a touchscreen you'll probably be happy to know that Premiere is also touch-friendly. This video editing software for Mac and Windows offers fewer transitions than some of the most popular consumer-level programs, however, it does allow for installing plugins from third-party developers like orisFX and NewBlue, you can find the extensive list at the Adobe's support page. 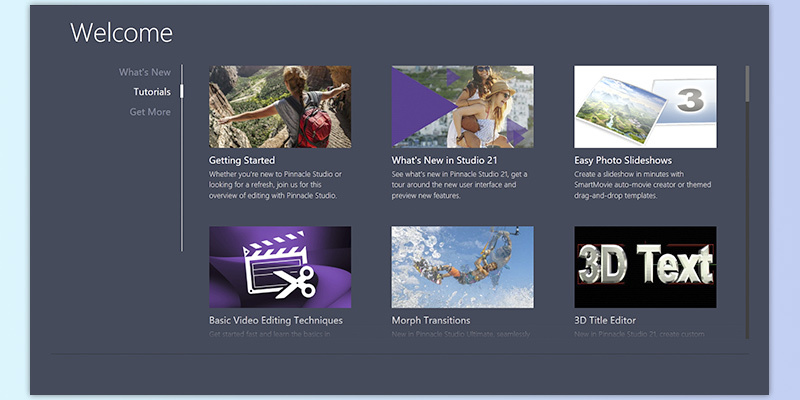 Or you can use the Adobe's After Effects software to create your own unique effects. Among the most significant improvements to the software in the latest year or so, there is the possibility to open as many projects simultaneously as you wish—to copy parts from one another, to switch between projects when the episodes are related and some footage or audio piece is better suited for one episode and not the other. It is even possible to either save or close all projects together as well as separately. Professionals, and lately, prosumers as well, often work in teams. It is faster, more convenient, and generally can bring better results than a single person can achieve, thanks to the combination of multiple skills from several talented people. Before, if you wanted to work in a team, you had to do your part, render your video, then send it to your team coordinator or your colleagues to be put together with all other parts. 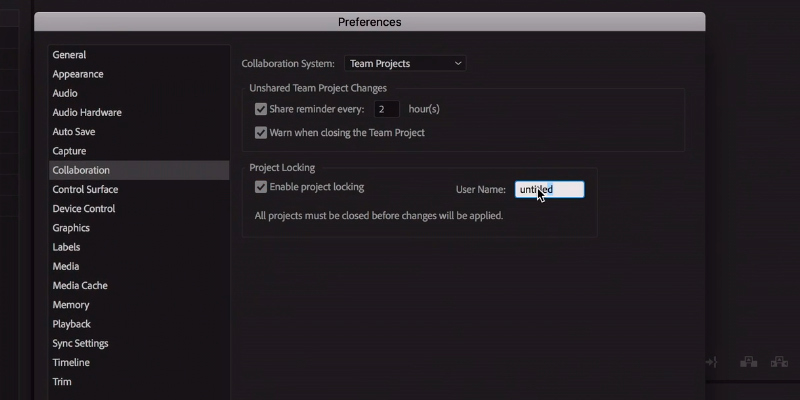 Now, with Adobe Premiere Pro CC 2018, you can collaborate without all those troubles, thanks to the Shared Projects, a feature created specifically for teams. When you work on the project, you can lock it to avoid the clash of changes between your editing and that by your team. When you are done, you unlock the project for your friends to tweak. Now, you can separate tasks like pros and get the best of each other's skills, learn from each other to make true masterpieces worthy of Hollywood. Once again, Adobe proves their customers that they care about doing better in less time. 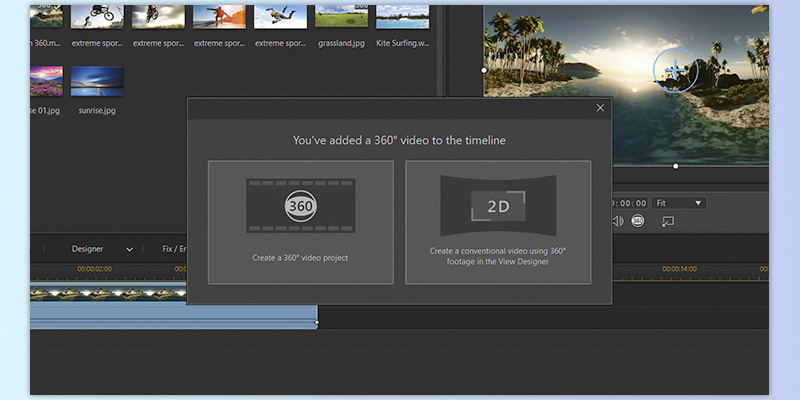 Now the Adobe Premiere Pro CC 2018 was not the first video editing software to support the 360° projects (that was CyberLink's PowerDirector) but with it, you can edit your VR videos using a VR head mount and immerse yourself fully in the experience with specifically created effects, transitions, titling capabilities, the immersive audio editing for 360/VR, and a VR Rotate Sphere. There is not much more to wish for right now, though we do believe Adobe will find something to surprise us with further, maybe by the end of this year. The Corel's Pinnacle Studio 21 is their newest upgrade to the existing video editing software for Windows, with fixed bugs, new convenient interface, and quite a number of tasty features that narrow the gap between consumer and professional video editing software at least a bit. The Plus version of this Pinnacle edition already offers more than 1,800 options to tweak your files with sound and video effects, transitions, text, templates, and presets. Truth be told, some of them still leave something to be desired and will require additional work from the company but the sheer amount of them is blinding. The software also offers a number of video tutorials (linked from within the app to the website) to teach the new user the ways to handle the most popular features; the tutorials pop out every time you launch the app, on the Welcome screen. They cover topics from basic techniques to some more advanced and are quite detailed, enough so that a more experienced user might even find them a bit boring, what's with every little step explained and shown, but since tutorials are, in fact, usually made for beginners this thoroughness is actually pretty justified. After all, you can always skip some parts in the video and jump to the moment where your particular question is answered. The interface had been considered a major downside of the Pinnacle Studio video editing software for years. Dedicated long-standing users had gotten used to it with time but there had been quite a number of complaints nevertheless. 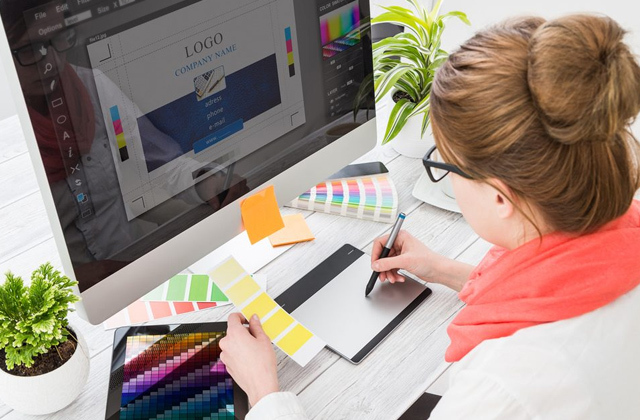 The designers have finally dealt with this issue in Pinnacle Studio 21: the new interface looks more sophisticated, smooth, and is much easier to work with since it has become quite intuitive. In fact, it now looks fairly similar to many other popular video editing software for Windows, with its three-part window and flat icons for features within easy reach—right there at the left edge. 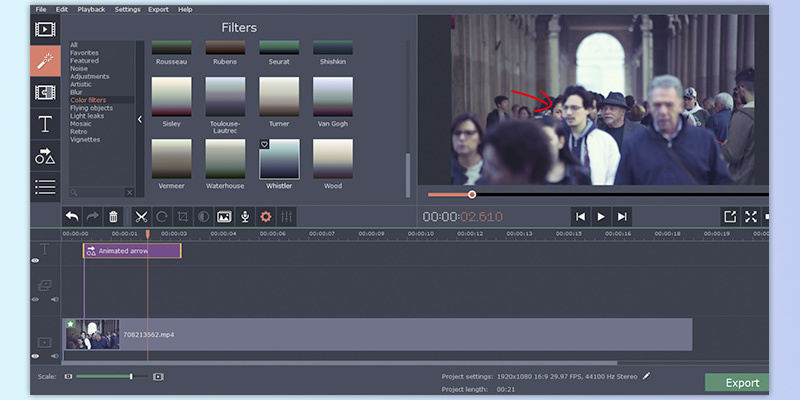 There is also a unique feature no other video editors seem to offer: simultaneously shown Storyboard and Timeline. Usually, they are two separate modes with Storyboard being the "easy" one and Timeline used by the more experienced users; but here in Pinnacle Studio 21, you can turn them on at the same time. If you find it redundant, though, or simply do not find the Storyboard necessary, you can hide it or replace it with the Navigator panel. The Storyboard makes rearranging and ordering your clips much faster and simpler whereas the Navigator is good for quick zooming in/out and positioning. Also new for the Pinnacle Studio, the 21 edition has a 3D Title feature. It is not exactly unique to the Pinnacle but it's not a feature you find in every video editing software either, including, by the way, some professional video editing software. The 3D Title in Pinnacle Studio 21 Plus is, same as the whole new interface, pretty intuitive in use: you can adjust every parameter of your text by simply choosing it. From fonts and text color to texture, material, positioning, scale, etc. 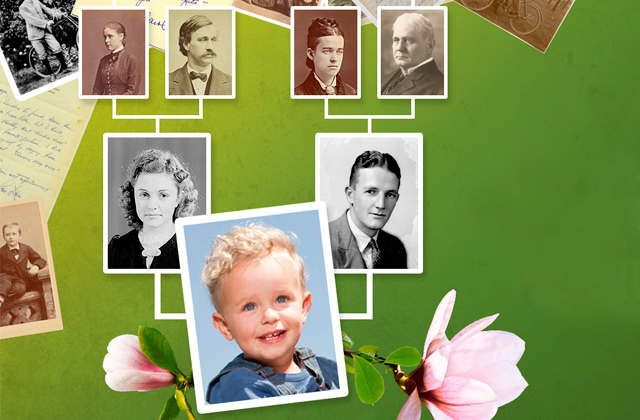 Combining several titles is also possible. Furthermore, the editor mode also enables you to create an animation out of the text by adjusting all the parameters frame by frame with smooth transitions. Titling can make a video livelier and lovelier so take advantage of this pro-level feature. 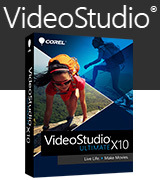 For the price it is sold at, the Corel's Video Studio X10.5 Ultimate is truly a great bargain. The reason for that would be the fact that it is one of the most feature-filled video editing software for Windows, and probably the most advanced cheap video editing software, at least, when we talk about functionality. 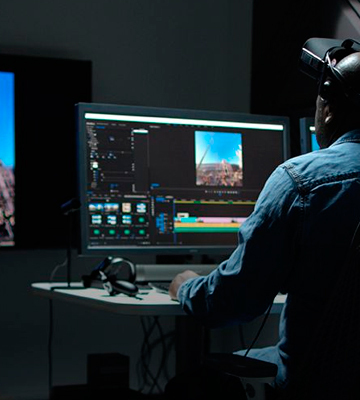 For starters, it supports 3D editing, 360° editing, and 4K video sources—a combination still not met often even among more expensive competitors. Everything from speed manipulation to masks can be found in this program. Furthermore, the Video Studio X10.5 Ultimate can also boast the addition of several effects and title packs from the most prominent companies—NewBlue, ProDAD Adorage, and Boris FX, all three of which are considered premium-level. Certainly not bad for a video editing software under $100. 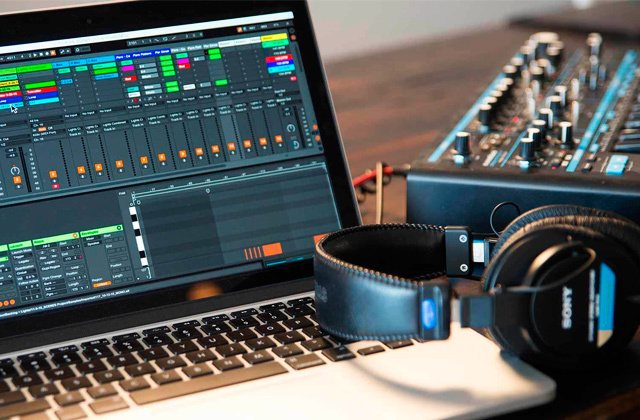 The Video Studio X10.5 has a very flexible interface. The default window is "mirrored" compared to other popular video editing software for Windows, it has the preview on the left and the features segment on the right, with the timeline below them. If this is inconvenient for you it is quite easy to drag the windows to rearrange them in any way you want, save the resulting layout settings, set them as default upon launch, and enjoy comfortable video editing. Trying to highlight all the features this video editing software for Windows offers would be like trying to seize the unseizable since there are somewhere around 2,000 of them. There are, however, several we find interesting enough to underscore. There might be a moment when you need to apply the same effect to all or just several separate clips on the timeline, for example, when you make a movie from several files or you have cut some parts from the one clip and thus now have a number of shorter ones. Applying effects to each one by one can be supremely aggravating, especially if there are many parts and you want to adjust the effect. So, in this case, the Corel Video Studio offers you a grouping feature—you group the clips and applying the effect to any one of them applies it to all the clips in the group. Really convenient and makes editing faster and more joyful. We don't always remember to rotate the smartphone or tablet when we record videos. Later, when it comes to editing those clips, we regretfully crop the video to fit it into 4:3 or 16:9 or other traditional aspect ratios. Either that or we end up with those ugly black bars at the sides. No more need for that since the Video Studio movie editing software has a way to make portrait-shot videos look stunning using those 20 overlay tracks and masking! Check out the tutorial on the Welcome tab when you launch the program. Where a standard motion tracking tool uses a single point to try and track the object (and everyone who has tried that knows it does not always work as expected), here in Video Studio, you can set up to four points to create a kind of a canvas that will move with the image. It is the best way to conceal parts like faces and car plates when you need it for security reasons. What's So Cool About Mask Creator? The answer to that question is quite simple—a mask can help you highlight a certain element in your video. For example, with it, you can make a black-and-white video with only the shapes of people or certain objects colored, or sharpen a specific element while blurring everything around it. The possibilities are limitless when you have a masking tool at your disposal. The Mask Creator is exclusive to the Ultimate edition of the Corel's Video Studio 10.5 and it also incorporates a motion track feature. Although it is not perfect (the motion tracking will need adjustment with tiny objects and you might want to use a drawing tablet when you outline your mask with a brush) but it is one of the most advanced features and it generally can't be found in such a cheap video editing software. 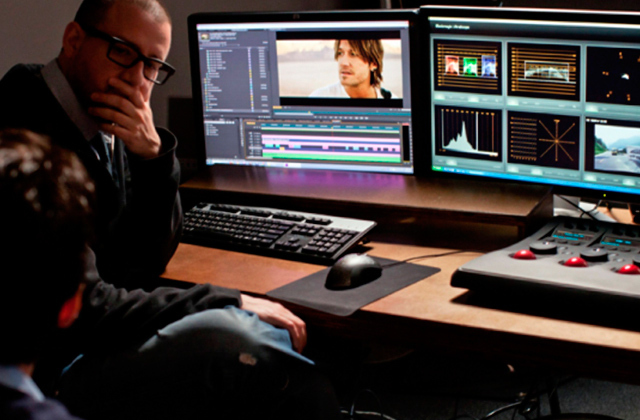 What Is a Video Editing Software? There are times for all and every person when we wish we could relive certain events from the past—the happy ones, the funny ones, sometimes even the sad ones. And the technology already allows us to record video whenever and wherever we want, what with smartphones and tablets being outfitted with high-quality cameras. 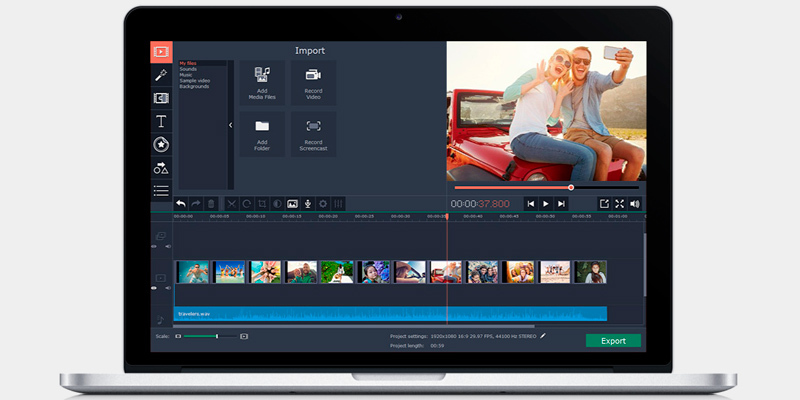 It was a matter of time before the possibility to record videos on the spot created a demand for easy to use video editing software alongside now widespread photo editors. And the demand begets supply: today, the market is overflowing with options to transform your plain and simple "home video" into something more, into real movies that will tell the story of your (or someone else's) life, adventures, relationships. 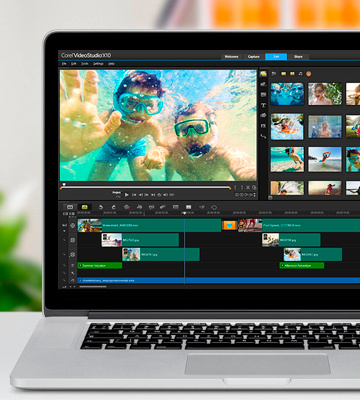 Video editing software also comes in handy for vloggers—or more like it's a must if you're striving for success since visual is the next most important thing after the content itself in video blogs. This article contains reviews on video editing software that we have found outstanding in some way or another. We hope you will find here the very thing you are looking for. 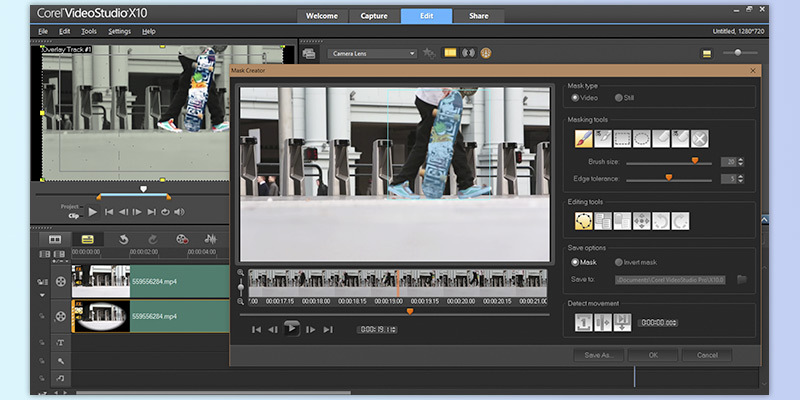 Video editing software, like any other software, has certain requirements when it comes to the computers or laptops it is to be used on. We will more or less cover the points that may become an issue (if there are any) but we do recommend you to check the system requirements before making a purchase.